Coming from a background where my parents were not considered landed-elite, nor having any experience spending time in Martha's Vineyard, I have obviously never seen a polo match. The closet thing that I know to this lovely experience is a polo shirt, and perhaps a huge distaste for tonic water. 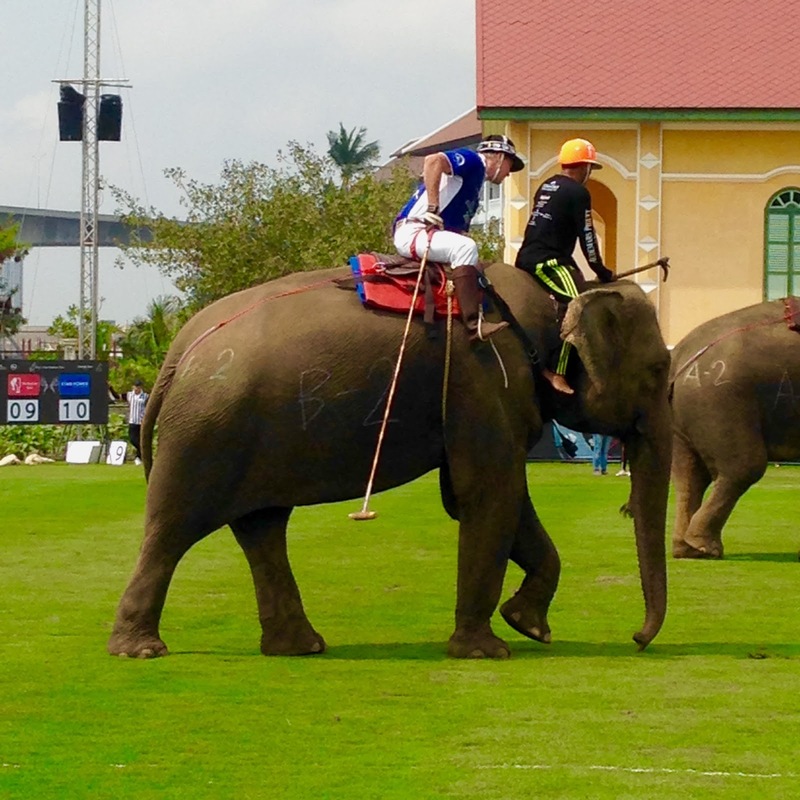 Now, while I did envision sipping cold beverages in chairs while discussing the might of the empire, and chortling about my vast quantities of money, I can honestly say that elephant polo was entertaining beyond my wildest dreams. Also, I did try and chortle, but I am not quite sure that I did it correctly. 1. I have no freakin' clue how polo is played. 2. I can count the times I have been around horses or other such animals that would play polo on one hand. Now, before anyone gets all PETA up in my business, I want to state, for the record, that this is not some show for tourists. This is put on by a elephant rescue group that hires out elephants that cannot work, along with their trainers for the time period of the elephant polo competition. They give them medical treatment that some of them might have been lacking, feed them very well, and only have them play two games a day. That is a total amount of work of about one hour. These elephants are used to working upwards of 10 hours a day. The trainers get paid, and the elephants don't have to do any hard labor or do much at all beside... trot (not sure if that is the right word), up and down the field playing polo. Now, elephant polo might seem like a trivial or silly sport, but as the announcer stated time and time again, in a British accent no-less, we were "watching world-class elephant polo" and that elephant polo was like "ballet on a stick." I can honestly say that elegant would be too simple a word for watching four elephants compete with two riders to play a game that seems like soccer for rich people. I am pretty sure that those photos speak for themselves. Yes, those are super long polo... sticks? clubs? Whatever. And those are elephants broken up into two teams. They are cute, the game is very lighthearted, and there are major penalties for any infraction that might harm an elephant. Plus a lot of the time the elephants just wanted to come over and say hi to the people watching. Of course we had to take photos with them. 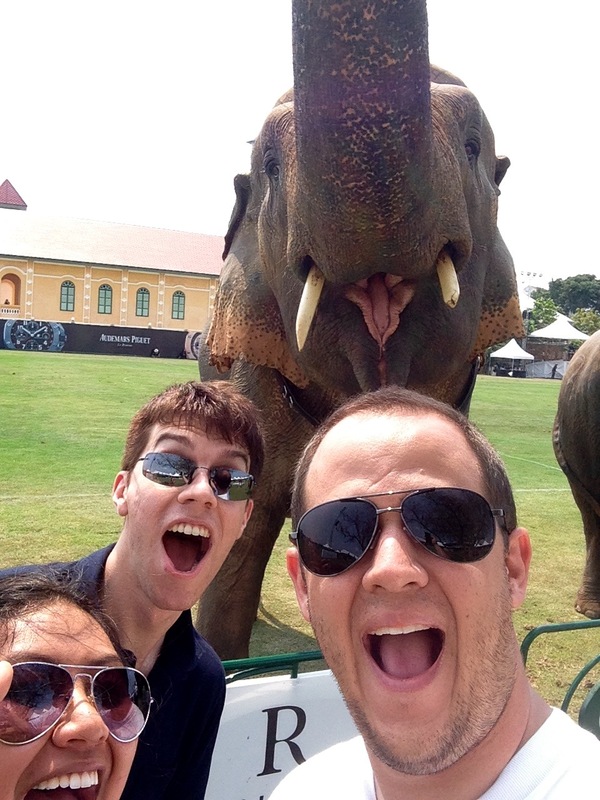 I did not know that we all had the same face as the elephant. I absolutely love this photo for so many reasons. I mean, what is not to love? That is the three of us with an elephant all making the same face. 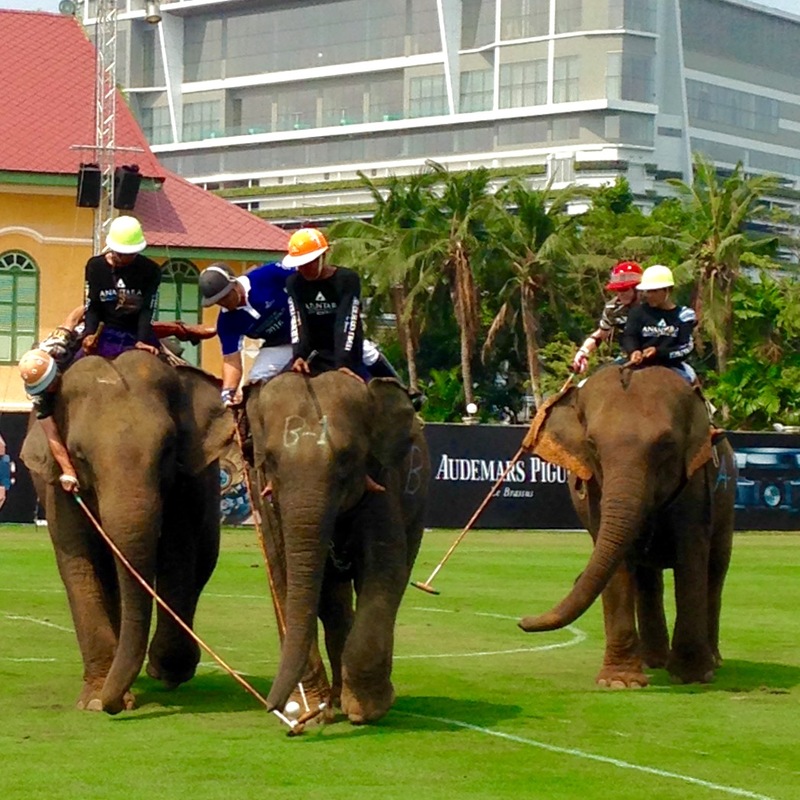 Now, just in case you wanted to really see the elephant polo action, I made sure to take some videos. Enjoy! For more information about elephant polo, check out the official website - or to donate to their amazing foundation, click here.